A new tourist trail in Athy is set to celebrate the town’s rich musical history and its links to some of the biggest names in music. The Made of Athy Musical Trail will involve plaques being installed throughout the town. It has received funding from Kildare County Council and is being project managed by the arts officer Lucina Russell. Perhaps the most high profile of all the artists is guitarist Johnny Marr of the Smiths. He and Morrissey co-wrote the songs of what is considered to be one of the most important bands ever. Neil Hannon's family on his father's side hail from Athy. A less well known fact is that both his parents came from the Athy area. His mother, Frances Doyle, was from Maganey, and his father, John Maher, was from Nicholastown. Johnny Marr will be present in Emily Square on November 2 for the unveiling of his plaque. A neighbour of Frances Doyle in Maganey was the mother of Mani, also known as Gary Mounfield, the bassist in the Stone Roses and later in Primal Scream. His plaque will be unveiled on November 30. 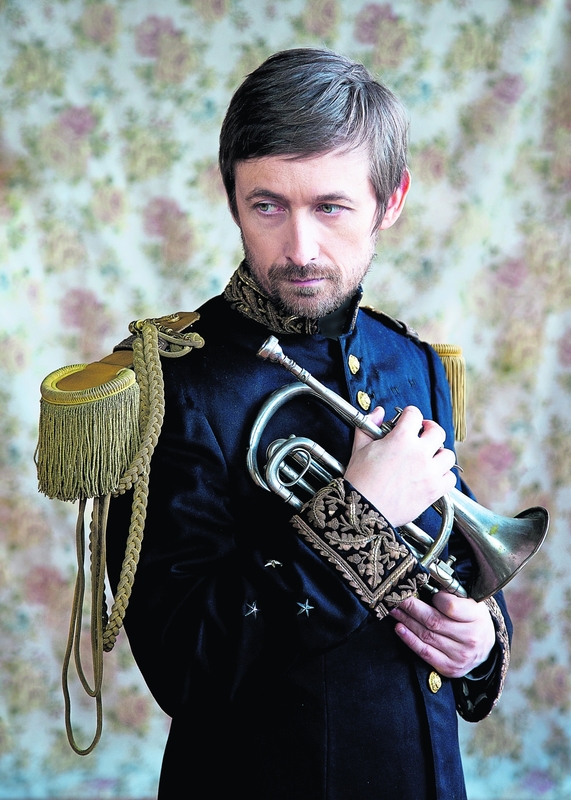 Neil Hannon, of the Divine Comedy, has a connection to Athy through his father’s family dating back to the 1700’s. Mr Hannon is the partner of Cathy Davey and together they run My Lovely Horse which is a horse and donkey sanctuary. Another artist is Erin Koivisto, a Finnish pop star whose grandmother comes from Booleigh. She part of a group called Nylon Beat, described as the Spice Girls of Finland, and now is a solo artist. The actor John Hurt will be remembered. When he lived locally he recorded Desiderata. Aldo Nova, a well known Canadian musician, singer songwriter and producer worked with many of the biggest acts in the world, including Bon Jovi and Celine Dion. While living in Athy in recent years he wrote ‘A New Day has Come’ and ‘You and I’ for Celine Dion. The latter was used by Hillary Clinton as the theme song during her 2009 campaign for the Democratic nomination. The Dreamland Ballroom will be celebrated, as will the 55th anniversary of the Johnny Cash gig there. His grandson, Thomas Gabriel, will attend the plaque unveiling. The showband era will be represented by local Joe O’Neill. Photographer John Minihan, who is perhaps best known for his photographs of Samuel Beckett and Princess Diana, also worked in the 1960s at the London Evening Standard and took pictures of The Who and Jimi Hendrix. Bill Hughes, an Athy man, will be remembered by a certain generation for giving us MTUSA and the Irish Tenors. He also pushed the boundaries of television in Ireland with a documentary called ‘A love that dare not speak its name’ and ‘Fintan’ about an Athy man who died of Aids. The plaque to Bill Hughes will be unveiled by Panti Bliss and two of her girlfriends on November 28. A plaque commemorating Jack L for his song ‘Garter Lane’, will be going up in Garter Lane. And there will also be plaque dedicated to Liam Óg O’Floinn.